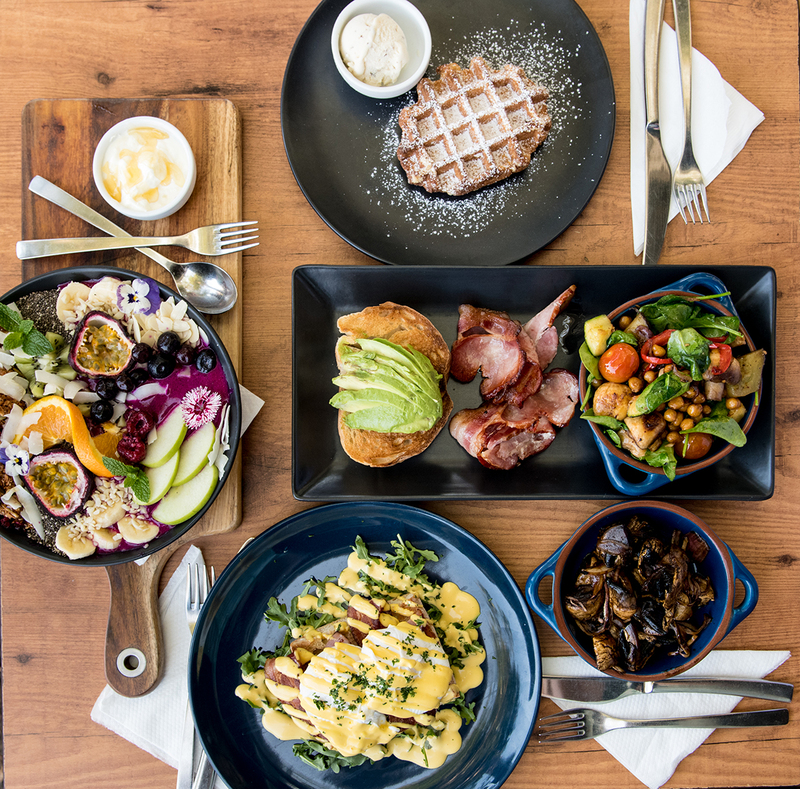 Spoiled by a region that grows, nurtures and producing everything you could imagine, cafes and restaurants are spoilt for choice when it comes to adorning their menus with fresh, locally-grown produce. The year-round availability of a variety of delicious fruits and vegetables makes for an interesting and ever-changing foodie scene with chefs not afraid to experiment. Try: The Windmill Café Bargara's 'Breakfast Bowl' with locally-grown baby tomatoes, homemade macadamia pesto using local macadamia's, served on sourdough baked in town at the Pocket Storehouse. Why not add Barritt's Butchery's award-winning bacon as well? We're talking decadence on decadence. From massive serving sizes, to brunches that are one spoon of deliciousness away from being a dessert. Everyone knows brunch calories don't count so call up your significant other or your favourite girl friends and get your brunch on. Try: Nothing says indulgent like and Indulge Café breakfast. Treat yourself to something sweet and go the French toasted brioche with poached Belle Pesche peaches, praline cream, macadamia crumble and vanilla ice cream. Dietary requirements and restrictions are no longer as rare as they used to be, and we know you want to enjoy your holiday without having to worry about where your next meal will come from. Our cafes cater for a variety of dietary requirements with permanent gluten free, dairy free, vegetarian and vegan options scattered throughout menus and chefs happily adjusting dishes to suit their customers. Try: Nourish Café focuses on creating healthy and nutritious food with an extensive array of GF, DF, Veg and Vegan options. Enjoy a Salted Caramel Seamer with homemade raw, salted date caramel steamed with hot milk of your choice, and a gf, df, grain free, vegan, no refined sugar, mainly organic Chia Bowl. Try something a little different on your next holiday with a liquid brunch. Here in Bundy we only create award-winning, world class spirits and our artisan distillers and brewers are among the friendliest and most hospitable you'll ever meet. Try: Visit Rick from Kalki Moon for a tour and tasting of their acclaimed award-winning premium gin and try their delicious Gin Gin Mule. Go behind the scenes at Bundaberg Rum, learn the secrets of the world's best rum and enjoy a tasting to round off your tour. Venture out to the Childers wineries for a progressive brunch and wine tasting session at Hill of Promise Winery, Ohana Winery and Vintner's Secrets Vineyard. From the décor, to the accommodating chefs, to the location, to the friendly staff, you'll always feel at home in a café in Bundaberg. Enjoy peaceful family-friendly garden settings metres from the beach, an intimate indulgent dining experience, and a chat with the hospitable locals who run and work at the cafes. Try: Have a chat with the friendly staff and locals that frequent Alowishus and order one of their famous, homemade gelatos (gelato is a brunch food, right?!). Enjoy a delicious seafood brunch at Grunske's by the River Seafood Restaurant and Market with relaxing views of the Burnett River.